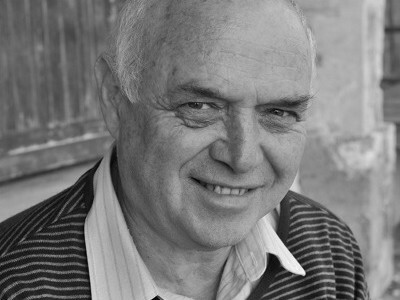 South African poet Robert Berold, born 1948, is the author of four books of poems. From 1989 to 1999 he edited the poetry journal New Coin, publishing much of the groundbreaking new poetry being written in that period, much of it collected in the anthology It All Begins. Berold has edited over 50 books by individual South African writers, many of them under his Deep South imprint. He was coordinator of the MA programme in creative writing at Rhodes University in Grahamstown, Eastern Cape, from 2011 to 2015. I only started writing poems in the 1980s, when I was in my thirties, although I had begun to read very intensively from the age of about 18. I hated poetry at school, we had a terrible teacher and syllabus. We were taught the usual wrong way, the assumption that every poem has a message or meaning hidden in it, like an algebraic equation you have to solve for x. In my final year at school though, something happened, an epiphany. I was reading a poem (no doubt looking for the meaning) when suddenly it all came alive. It was being transmitted straight to my ear rather than to my intellect, I could hear the sound of every word. After that I never read poetry in the same way. Do you remember what the poem was? Actually there were two poems, Milton’s “Lycidas” and the other was Wordsworth’s “Intimations of Immortality”. I didn’t know what to do with the experience, so I memorized these poems. It was like when you fall in love, the scales fall from your eyes and you see the world afresh. Fortunately, I was about to leave school so my new conversion to poetry could be kept secret. And then I studied science and engineering. I started reading widely. My next door neighour was Denis Hirson whose parents had a large library so I had access to lots of translated poetry. It was there that I first read Lorca’s poem on the death of his friend the bullfighter, when he repeats the line ‘At five in the afternoon’. I couldn’t believe the sharpness of his images. I soon found myself preferring translated poetry to English poetry. How would you describe your own poetic style? I suppose I would call it plain-language imagistic-modernist, aspiring to the ‘no ideas but in things’ aesthetic of William Carlos Williams. But perhaps even more to the classical Chinese poetry as translated by US poets such as Kenneth Rexroth and David Hinton. I’m drawn to Chinese poetry because of the way the image is its own metaphor. The images can be listened to purely at a descriptive level, while there are all kinds of undercurrents going on because of how the images associate and speak to one another. You started editing New Coin in the late 1980s. What was the effect of apartheid on poetry in South Africa, and how did that change after the first democratic elections in 1994? Apartheid was a brutal and mad system, it wounded everybody. But that was not necessarily bad for poetry. Poetry tends to thrive in conditions of oppression. If you look at totalitarian regimes in the twentieth century – Soviet Union, Mao’s China, many countries in Eastern Europe and Latin America – when language gets distorted and debased, ordinary people turn to poetry for authentic speech. Many of these regimes monitored and censored poetry very zealously, because they took culture seriously. However the apartheid state was only really interested in those who were actively involved in politics. They hardly ever locked up poets for their poetry – although because a lot of the poets were also activists, many were detained and tortured for their activism. Right through the 1970s and 1980s, this relative indifference allowed space for cultural activity. Poetry in black communities became a powerful way of expressing political anger, even after the big crackdown on black consciousness organisations in 1977. In the 1980s poetry continued as a cultural weapon in trade unions and the UDF [the United Democratic Front]. In the 1990s, after the release of Mandela, much of the need for rousing political poetry evaporated. The future was unclear and the terrain unknown. Which was not so good for protest poets stuck in a certain groove, but a spur to creativity for those who wanted to dig deeper. A lot of interesting poetry began to sprout. It was an exciting time for me, as I had just started editing New Coin. How was editing New Coin linked to starting up your poetry press Deep South? I started Deep South in 1995 with Paul Wessels. It came about because I was outraged that some of the poets I was publishing in New Coin couldn’t get their books published. One poet in particular, whose work I thought was really important, and still do, was Seitlhamo Motsapi. His was the first Deep South book, titled earthstepper/the ocean is very shallow. It’s one of the important books of the generation of black poets who emerged in the 1980s and 1990s – Nyezwa, Motsapi, Dladla, Rampolokeng, Nxumalo, Zhuwao, Bila and others. Sadly it was Motsapi’s only book, he stopped writing after that. In an interview with Joan Metelerkamp in 2001, you said that no one in academia has registered the importance of these poets you’ve just mentioned. 15 years later, has the situation changed? Not much. Some of them have been recognised via inclusion in anthologies. But hardly anyone other than Kelwyn Sole has written anything which gets to grips with what each of these poets is doing formally and stylistically. As Sole has pointed out, academics are still seeing black South African poets in generic political/ anthropogical terms rather than looking at the poetics involved. How would you describe the poetry scene today? Well there are poetry festivals and literature festivals and a lot of online activity, but readership of poetry books remains small. South Africans do not read books in a big way anyway, as various surveys have shown. The books that sell in bookshops are mainly non-fiction – political biographies, sport, wildlife – not much local writing, and far more fiction than poetry. Sales of poetry are miniscule. Bookshops, especially the chain bookstores, don’t want to stock it. In general poetry is not even in the syllabus of most schools. Poetry seldom gets reviewed in newspapers,not even the Sunday newspapers which have book review sections. It’s hardly even reviewed in poetry journals. So there is not much literary criticism to speak of. And what there is, is infected by marketing and self-promotion. But there are some good poetry magazines, there are at least ten magazines, most of them online. Of course poetry can never die, and brilliant poets will always emerge from unlikely places. Good poetry has a way of mysteriously finding its readers. Right now the ‘spoken word’ scene is important, and is archiving itself obsessively, but with notable exceptions it has a quite limited and superficial aesthetic. It makes the noises of politics, especially identity politics, but is not political in any deeper sense. Our writing students have been astonished by the human/spiritual energy of the black consciousness poets of the 1970s and 80s. Grahamstown has always been a cultural centre, it’s a small university town. We have the National Arts Festival here, which has been going for 40 years, it’s like an Edinburgh Festival, lots of plays, film, music – the biggest festival in the southern hemisphere. It was here that Guy Butler started New Coin, and articulated the need for a South African poetry that does not look to Europe for its sense of itself. Harry Owen runs a very popular and well-attended monthly open mic gathering called Reddits Poetry. There is a poetry club in Joza township, which has linked up with the Rhodes English Department. During the Festival our MA in Creative Writing course runs a daily reading programme with teachers, students, and visiting poets. Also in Grahamstown is the National English Literary Museum [NELM] another of Butler’s inventions, which hosts book launches and literary events. NELM is a national archive, they have just about every book and literary magazine ever published in Southern Africa. It’s all here in this little town, which is still full of colonial remnants, including a vast economic abyss between its black and white population. I take it that Aerial Publishing is part of the local poetry scene? Yes, Aerial originated from an extramural creative writing course we started 15 years ago, open to anyone in town, and still going. Although the course publishes an annual magazine titled Aerial, many of the writers also had manuscripts of their own. So in 2004 a group of us who taught the course started a publishing collective. We’ve now brought out about 15 books. The idea is that as you publish, you join the collective and make some contribution via editing or management or marketing. Needless to say it hasn’t quite worked out that way. How do you make Deep South work financially? I don’t make any money from Deep South, but I do try to cover running costs. I do this mainly by fundraising for printing costs, mostly via the National Arts Council [NAC] which is the biggest source of arts funding in South Africa. I have a distributor [UKZN Press] who handle sales to bookshops and libraries. Sales at book launches and festivals are slightly better. And as you know, the best sales come from poets who discreetly or indiscreetly promote their own books. You were the first director of Rhodes University’s MA in Creative Writing, which started in 2011. What are the challenges of teaching writing? One of them is a disconnect between reading and writing which never used to be the case when I was a young writer. So we make a big effort to reconnect our students with creative reading. We give them a 200 book reading list, from which they have to read about 10 books, it’s a diverse list of many genres and voices. We have made sure that every book on the list is in the Rhodes library. 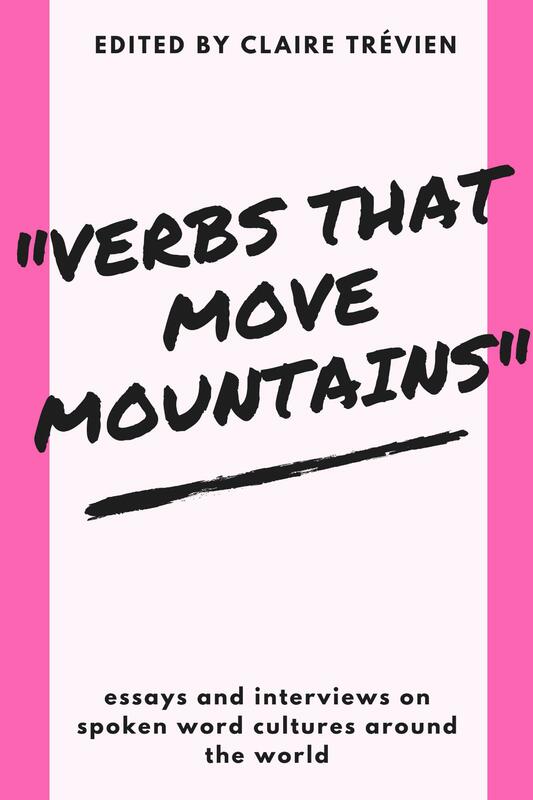 The other thing we do is call on practicing writers to teach. We have to train them to teach sometimes, as many of them haven’t done anything like this before. The diversity of our writer-teachers covers a wide range of styles and genres, so we are always able to find supervisors for our students, no matter what their stylistic preferences. We have some brilliant teachers. Teaching creative writing is good for someone like me. You are not confined to a syllabus, you can teach the stuff you love. In fact, you must teach the stuff you love. Which may change from year to year – you can only transmit enthusiasm if you teach what you are enthusiastic about at that moment. It did affect my own writing though. I haven’t written anything substantial in the past six years of teaching creative writing. All my time and energy went into keeping up with the admin of the course, and all my creative energy into the imaginative worlds of my students. I couldn’t have continued like that indefinitely. But I knew I was going to retire, so I just decided to put everything into it. It’s been worthwhile.